﻿ Carpet Wiki: How are handmade rugs dyed? The wool is spun before being dyed. In the case of high-quality rugs from the Middle East, this is usually done by hand made from sheep's wool. Wool has a natural fat content that protects against dirt, moisture and wear. Natural materials are the original source for the dyeing of wool. Even today, many Persian rugs are still dyed from natural materials. It is very complex and can take up to fourteen days until the desired colour has been achieved. 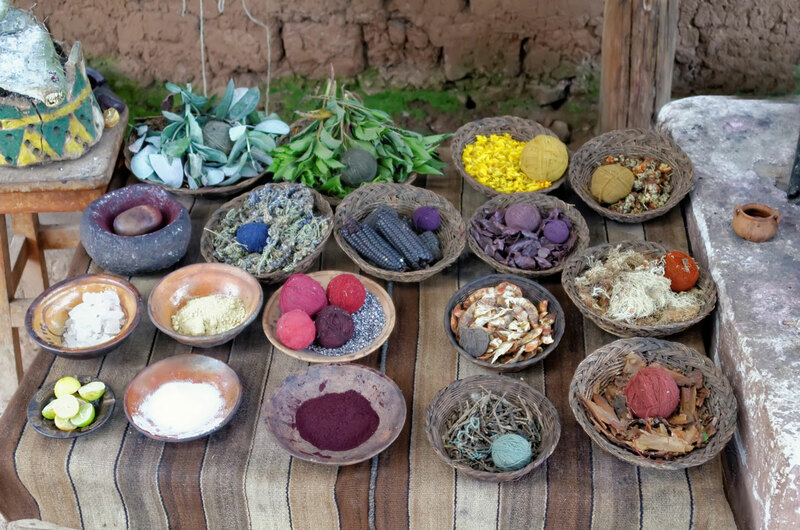 In comparison to chemical dyes, natural dyes give the wool a shine that can hardly be surpassed. In addition, the dyestuffs are absolutely harmless and are very popular again. 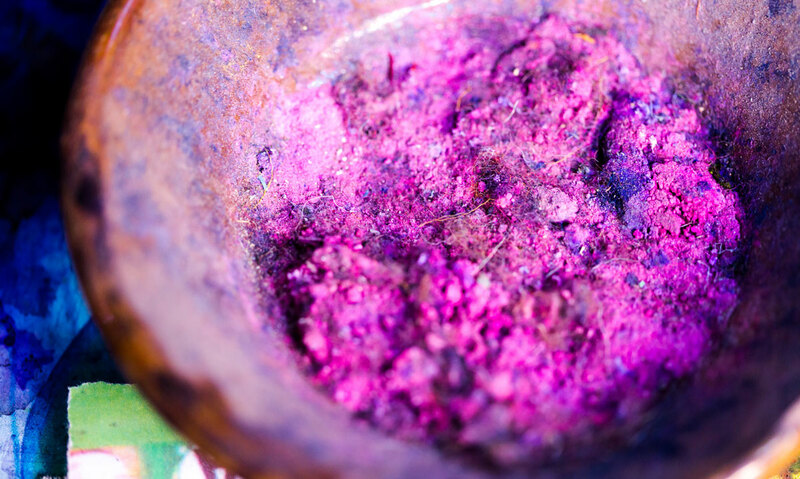 Mineral, aniline and chrome dyes have recently been included in the process of dyeing, as they came onto the market as improved synthetic paints and are largely similar to natural paints. They have a somewhat more artificial gloss compared to natural colours, which only becomes softer over the years. 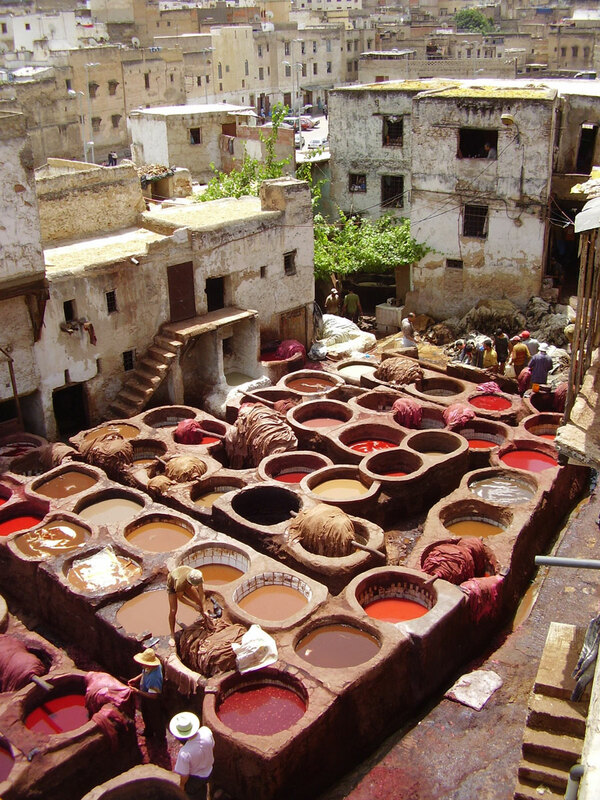 The dyeing usually takes place in large containers, which are often still in the inner courtyards. Since many rugs are knotted at home in Iran, it also happens that their wool is treated with natural colours on site. The spun yarn is dipped several times into the colour vats until the desired colour intensity is achieved. With nomadic rugs you can sometimes see a jump in the colour intensity of the pile. In such a case, the stock of dyed wool was not sufficient and new-dyed yarns were given a different shade. Particularly with natural dyes it is almost impossible to achieve a very specific shade repeatedly. After dyeing, the yarn is dried in the sun. This produces a beautiful soft, slightly faded sheen with natural colours. In the case of synthetic colours, the entire dyeing process is usually many times faster and is therefore often used for cheaper rugs from the Orient. Drying can take several days and is carried out either on a stone floor or on scaffolding, as shown in the photo. These rugs have been provided from an assortment of over 9.500 different vegetable coloured Persian rugs by Nain Trading from Hamburg. Hamburg, Germany is still the most important hub for the trade of oriental rugs in the Western World with Nain Trading offering one of the largest assortments of handmade oriental carpets worldwide.